A house isn’t quite a home until you’ve personalized it with furniture and décor. 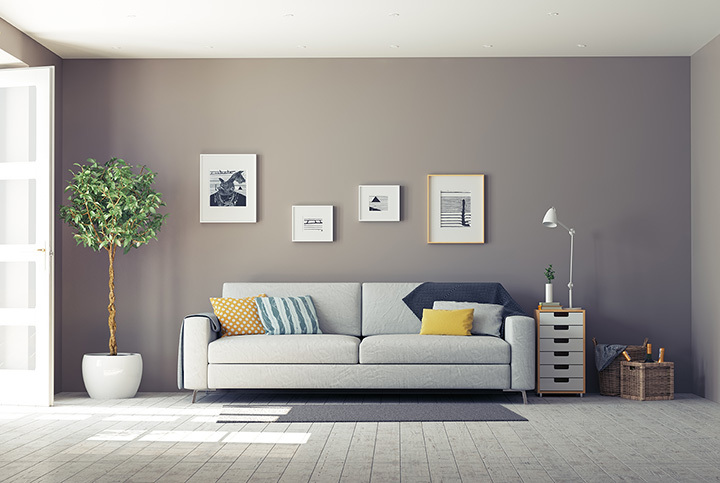 Whether you’re moving into your first apartment or you’re looking to change up a home you’ve owned for years, the furniture stores of North Dakota will give you everything you could dream up. Here are the 10 best in the state! Furniture Row may not be a local, hometown furniture shop, but this big chain has all the convenience of a national store with the small town care that locals can appreciate. This fast growing furniture store has expanded to include locations across the country, including their location in Bismarck, North Dakota. The store has a huge selection of furniture and decor, like living, dining, office, bedroom, kids, decor, outdoor, and clearance sections, with something for all budgets and styles. You’re not going to want to miss the huge selection at Bismarck’s Furniture Row! The Furniture Mart is the expert of all things home design. Founded in 1976 in Sioux Falls, South Dakota, the furniture store has now expanded across the Midwest. They are now ranked as the 40th largest furniture retailer in the entire country! While they have roots in South Dakota, one of their best stores is the West Fargo location. When shopping here, customers know they’re getting the best deal possible, as The Furniture Mart offers a “110% Smart Price Promise”, which guarantees they’ll have the lowest price or they’ll refund the entire purchase plus an additional 10 percent! HOM Furniture in Fargo has a huge selection of furniture for unbeatable prices. They offer items for living room, bedroom, mattresses, dining, entertainment, office, home decor, accent furniture, patio, and carpet and flooring. Customers rave about the wonderful help that the friendly employees provide. Even someone who knows nothing about home decor can find their dream items like an expert with the help of the experienced workers. Fargo’s HOM Furniture is a must stop for anyone looking to decorate or furnish their home! Stanley, North Dakota is a tiny town but the local furniture store has a huge selection, even by big city standards! Springan Furniture offers only the highest quality products at prices competitive with other stores. Not only that, the employees always greet customers with a smile and expert assistance with any home decor or furnishing needs. This store stocks a huge range of brands like Lazyboy, Ashley Furniture, Stein World, Pacific Coast Lighting, Horizon Home Tradition, Office Star, Simply Amish, and over 20 other brands! This business opened all the way back in 1917 and has been run by the same family for over three generations! No one knows Stanley or furniture better than the family owned and operated Springan Furniture. Conlin’s Furniture has one of the best selection of furniture and mattresses in the region. The stores serve midwestern states including Wyoming, Minnesota, South Dakota, Montana, and North Dakota. One of the local favorite stores in Williston is Conlin’s Furniture due to the helpful and friendly employees and large selection. No matter the customer’s style or budget, Conlin’s has something to fit everyone’s needs. Unclaimed Freight Furniture is where locals in Fargo go to get great deals on their furniture and decor needs. The store has an unbeatable selection of items for office, decor, entertainment, youth, mattresses, bedroom, living room, and dining, in addition to weekly deals and clearance items that are often heavily discounted. Regardless of their customer’s individual financial situation, Unclaimed Freight Furniture wants everyone to get their dream home furnished, which is why they offer extremely competitive financing with flexible payment plans. Quality isn’t just a selling point at Fleck’s Furniture & Appliance in Dickinson. It is a guarantee! This family owned business is fixture in the local community and has generations of family members working under its roof, so customers can be sure that Fleck’s employees really know furniture. The store opened in 1934 in Dickinson, selling home appliances and only began selling furniture in the 1940s. They’ve come a long way since their humble beginnings and are now a household name in the local Dickinson community and surrounding area. Fleck’s Furniture & Appliance also has a location in Bismarck. Jay’s Hi Way Furniture in the small town of Ellendale has a huge selection of both furniture and floor coverings. This is a true one stop shop for all home needs. The company also offers free delivery for certain items, masterful installation of purchased floor coverings, rental equipment, storage and trailer rentals, and floor covering estimates at no charge. Customers can be sure that they’re getting the best deal around at Jay’s, as the store either meets or beats all competitor's prices. Northern Home Furniture & Design, located inside downtown Fargo’s historic Ford Building, is an upscale furniture and design leader in the Fargo and Moorhead areas. Their items are all hand chosen for their high quality build and materials and the store prides itself on its unbeatable customer service and installation. St. Michel Furniture & Floor in Bottineau specializes in elegant and beautiful home decor at competitive prices, stocking items for bedroom, dining room, living room, entertainment, and the home office. The store also carries most nationwide brands including A-America, Best, England, IFD, Intercon, Liberty, Monsoon Pacific, Perdue, Signature Design by Ashley, Stanton, Sunny Designs, and Trentwood.